With Thanksgiving just around the corner, we look at Thanksgiving home décor, and we look at a couple of modern floor lamps that would work wonder with that décor. Thanksgiving is an event that only the United States celebrates, in order to honor their history and culture, and their relationship with the natives and establishing their land, in order to strive and prosper together. Inspired by the great Duke Ellington, this mid-century floor lamp is part of one of DelightFULL’s most notorious collection, the Duke collection. Known for their Industrial influence and their impact on the mid-century contemporary design standard. 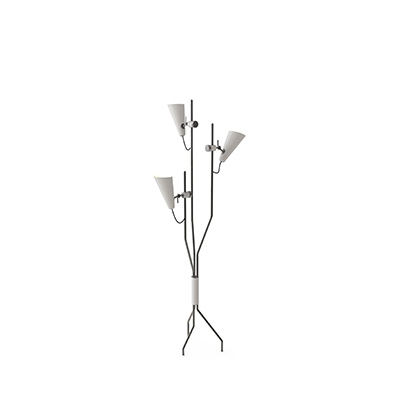 Duke floor lamp is a lighting piece that brings a more mid-century vibe to any room it is placed. This mid-century modern inspired floor lamp is a perfect addition to any living room or bedroom looking for a piece that brings that mid-century style atmosphere. A stunning piece that features some of DelightFULL’s artisan’s greatest works. With detailed construction and high-quality craftsmanship, the Janis floor lamp features a clean and all-brass build that can be easily customizable. Inspired by the great Janis Joplin, this floor lighting piece features a premium look and feel that only DelightFULL can offer. A luxurious and flamboyant piece that will look wonderful in any living room looking for a piece that can be a flashy, yet, luxurious piece that will decorate your home on Thanksgiving. Thanksgiving is also an event that anticipates one of United State’s most iconic dates, Black Friday. A day in which only the strong survive, a 21st century version of the gold rush. Black Friday is an authentic arms race to see if you can get the best price available, it is also the perfect chance to anticipate your Christmas list. Stanley floor lamp is the perfect embodiment of the 50s and 60s. A perfect mix between minimalism, that was characteristic of mid-century New York, and the sophistication and intricate design of mid-century Los Angeles. With clean and sleek lines, the Stanley is one of the best living room mid-century modern pieces. Stanley is also suited as a bedroom floor lamp. Feel Inspired By These Vintage Living Room Ideas! What’s Hot On Pinterest: Scandinavian Style Bedroom For Your Home!